to open, exhibitors working with their animals, and FFA kids working. And then there are the smattering of a different sort of competitor -- the food competition competitors. This particular Tuesday morning, I was joining them for my first foray into such a competition. I have competed before in chili cookoffs, and at the Fair as a photography entrant, but I've never engaged in the competition against other cooks. The competition this day was the Farm Bureau's Rice Cookoff. 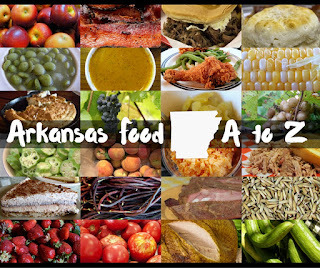 Each year, the Farm Bureau celebrates the popular Arkansas staple by inviting one and all to compete to see who can come up with the best main dish, salad, and dessert -- and awards prizes in each area. Unlike the categories sponsored by the Fair itself, in this competition all ages compete together. For some, it's a family affair. I arrived on-site with my traveling companion and my entry. Because I didn't register in advance by mail or on-line, I had to fill out an entry form at the counter. That, plus my $5 entry fee and a copy of my recipe on the appropriate form was all I needed to enter the arena inside the Arts & Crafts Building and set up my entry. The Farm Bureau's contest provides an area with covered tables for the exhibition, along with sample plates and utensils for the judges. Entrants are required to bring their own presentation dishes, presentation materials, and serving utensils. Each entrant is given the chance to choose where they'd like to set up and are allowed an area 12"x18" in size for their display. I took my box of materials to the prep area in the back. While participants are allowed to re-heat entries, all actual cooking must be done off-site. Dishes have to be ready to eat. I carefully unpacked my gear and display equipment and gently ladled my entry into the display bowl I had brought. This took a bit of time, but taking time was well worth it. My entry this year was kheer, a type of rice pudding from India that includes rosewater, sugar, cashews and raisins. I made it the night before and allowed it to chill before re-heating it in the morning. The confection is sweet but not overly sweet and is often served as a closing course at Indian restaurants. My version uses rosewater but not vermicelli, which I see in most commercial preparations. The judging for these entries are based on taste (30%), appearance (25%), originality of the recipe (25%m and on ease of Preparation (20%). By setting up the criteria in advance, entrants have a better idea of what might work and what might not work. As the competitors put together their entries, a facilitator kept us aware of the time, counting down what time we had left for setup. I put what I thought would be the crowning garnish on my entry and carefully carried my bowl to where my display had been set up. Somehow or another, my raisins decided to sink, so I went back for more. I noticed others had very elaborate displays -- but my simple dish just got the simple treatment of a folded tablecloth in a complimentary color. I added a couple of serving spoons and called it good, making sure my entry slip and recipe were visible and ready for the judges. As I went to leave the ring, I noticed some of the entrants also taking pictures of their entries and of other entries that looked intriguing. I was glad for this -- I had felt a little weird taking my camera with me, and it was good to know that I wasn't doing anything strange. A short time later, the judges were announced, and the ring was closed for judging. All of the participants were expected to stay the full length of time for the judging, and that was okay, too. A demonstrator from the Pampered Chef started to show how to make a dish in the kitchen at the end of the hall, and many of the participants went there to watch. Others took the time to peruse the hall, looking over the entries in the other contests and talking among themselves. The facilitators worked quickly and quietly to make sure the judges had all they needed. Some made sure there were six plates and utensils set by each of the entries for the six judges. Others kept up with the judges and made sure they had water at all times. Still others checked the forms to make sure they had everything needed for registration. The judges themselves each seemed to have a method of going about things. Rather than all starting on one side and going to the other, they carefully checked the numbers on their sheets and appeared to go through the entries at random. This meant that no judge had to wait on another to finish judging, and I think that was a rather good idea. Many of the entrants used the space at the available tables around the ring. Some read, others worked on their computers, still more socialized with other entrants and compared notes. As a first time entrant, I was pleasantly surprised by the joviality of it all. This wasn't one of those at-your-throat competitions like you see on Food Network. These people were all glad to be here, and I received a lot of feedback from others who have been competing for years. My traveling companion pointed something out to me, and I watched. As the judges would come to my entry, they would briefly look over the recipe and place a small amount of the dish on their plate. Then they'd try it -- and every one of them, every one -- quickly glanced back at the recipe. I wonder if they were trying to figure out what made the entry taste so different. Almost all of them nodded a moment later -- apparently as they recognized the rosewater, an unusual ingredient in this part of the world to be sure! We did get a little kick out of one of the entries -- as each judge tried to pry apart something that looked like a Cocoa Krispy cake with the little plastic forks provided by the facilitators. This again is a big reason why it's important to bring your own appropriate serving utensils. The judges shouldn't have to struggle to get through your entry! 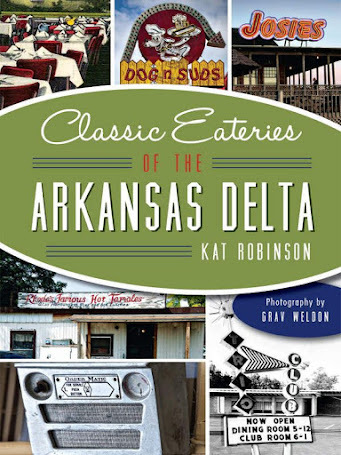 The top recipes in the rice cookoff and other competitions at the Fair are made available each year in a special cookbook put out after the Fair. 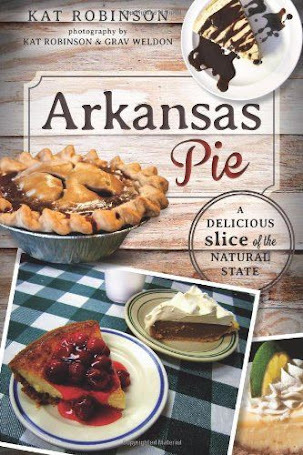 You'll have a chance to purchase yours soon -- watch the Arkansas State Fair website for that chance. Each of the judges has a set of sheets for scoring. They're set up in a grid. The number of each entry is listed along the vertical column, and across the top there are columns for each of the four criteria. This makes it easier for tallying up the votes once the judging is over. The numbers are necessary, since one of the contest rules specifically prohibits the use of anything identifying the competitor in the competition. That way, the entries can all be judged fairly. I noticed that the facilitators made sure that there were no dirty plates or empty cups cluttering the area. They kept a keen eye on things and swept away the used plasticware quickly. I overheard them talking about this year's Fair, and how many more entries have come in. Last year there were a total of 1800 Fair entries -- as of this Tuesday, there had been 3200 this year. That's incredible -- and with a number of other competitions to go, it's bound to grow. It's great to know that more people are learning how they can participate in such a great experience. As the contest wound to a close, the facilitators themselves took time to sample. The judges retired to a private room along the side of the Arts & Crafts Building, and the facilitators looked over the entries. You can tell which ones were the most visually appealing -- because facilitators don't have to try every dish, just the ones that look good to them. The contest, which had begun at 10:30am, was over by 12:30, when the judges made their pronouncements and the winners were announced. Each category had three winners -- a first, second, and third place. I was surprised and delighted to see that this had been a family affair for many. Two sisters, Meredith and Stephanie Williams, took top prizes -- Meredith for the main dish and best of show, and Stephanie for best salad. The sisters posed for photographs, and then entrants came in and sampled each others' dishes. While I didn't place in this competition, I had a really good time. It was great to see what individuals could do together with such a contest. 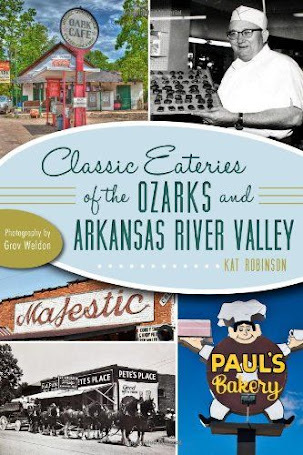 I went home with a lot of nifty ideas, and can't wait until I get my Fair Cookbook later this year -- so I can try things out at home. It's not hard to enter the Fair. For most Arkansas counties, there's a county or regional fair you can enter at before heading on to the big show in Little Rock. 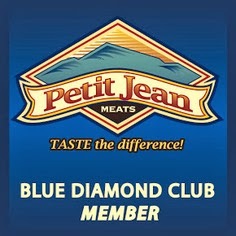 For those of us who live in Pulaski County, this is it -- but it's easy and accessible to anyone who wants to enter. There are no restrictions on who can enter -- except that the person who takes the top prize in each category can't compete in that category the following year in some contests. So put your mind to it. Whether it's cooking, quilting, canning, growing stuff, you name it -- there's a category for you to consider. Start thinking about it now -- you never know what you might come up with. I know from experience now. This year was my first year to enter at the Fair, and I was shocked and delighted to discover on Friday that I'd placed second in the Arkansas Times "This is Arkansas" photo contest with a picture I took on my visit to Booger Hollow last October. Just goes to show you never can tell. 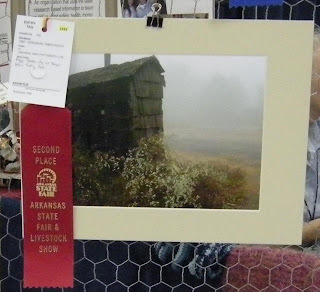 For more information on entering contests at the Arkansas State Fair, check out the Creative Arts section on the State Fair website. Treats and Treats and Fun, Too. Fair Food Findings Fulfills Flavor Fix.